A Queenstown property which was acquired to house a foundation controlled by former President Bharrat Jagdeo, is now involved in renting office spaces. And one of those clients is involved in the oil and gas business. 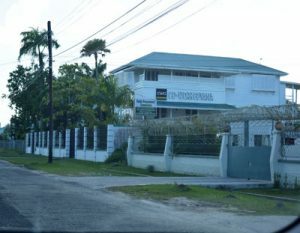 The Lot 300 New Garden Street, Queenstown property was acquired in December 2013 by Jagdeo, two years after he ended his constitutional two terms in office. According to the Official Gazette, dated December 7, 2013, he acquired the double lot from Brian James, a businessman who has interests in Auto Supplies. James was also the local partner for Haier, the company that won the contract to supply computers for the troubled One Laptop Per Family programme. 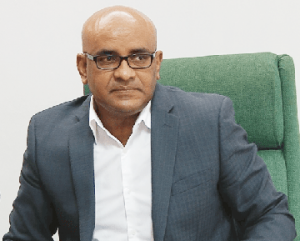 It is unclear how much was paid to James by Jagdeo to acquire the properties. The building was renovated and the Bharrat Jagdeo Foundation was housed there. There is little known about the work of the foundation. What is known is that the Consulate for Switzerland is housed in the foundation’s building now. The Consul General is Dean Jackson. In recent days, it was announced that another business, Co-work Guyana, has launched a number of dedicated, private office space. An interview with dailytelescope.com said that “this unique co-working environment features shared, dedicated and private office spaces in a charming three-storey colonial building with distinctive, modern interior-design elements. So said Qaasim O.B. Shittu, Chief Executive Officer of Mayson Blackhouse, the oil & gas investment, parent-company behind Co-Work Guyana. It so happens that Jackson, the Honorary Consul, is also Chief Operating Officer and Partner of Mayson Blackhouse. Co-Work Guyana said it is featuring a cleverly composed floor plan created to bolster worker productivity in a collaborative setting. “The space is flexible, including scalable and interconnecting offices, fully-equipped conference rooms, and outdoor working areas. By providing office furniture, printing center services, high-speed Wi-Fi, and administrative/concierge services, businesses save capital by keeping overhead minimal, while maintaining their primary focus on their core operations,” the report said. Co-Work boasted that the new office is located in the Queenstown area of central Georgetown defined by the beautiful colonial buildings and proximity to the Botanical Gardens, Guyana National Zoo, and Georgetown Cricket Club. With ExxonMobil to start oil production in less than 18 months in its offshore concessions, there has been huge interest by companies, investing in properties and offering other services relating to the oil and gas industry.